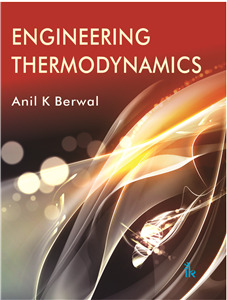 Anil K Berwal | I.K International Publishing House Pvt. Ltd.
is a doctorate in thermal engineering and is presently heading the Centre of Excellence for Energy and Environmental Studies at Deenbandhu Chhotu Ram University of Science & Technology, Murthal. Prior to this, he was teaching the undergraduate students of Department of Mechanical Engineering of the same university for about two decades. He has received his bachelors and masters degrees with honors in mechanical engineering and energy management, respectively. He has more than 25 years of experience in teaching different subjects of thermal engineering to undergraduate students of Mechanical Engineering and PG students of Energy Studies and also guided many M.Tech and PhD students. His areas of interest include Internal Combustion Engine, Thermal Engineering, Waste Heat, Bio-fuel, and Solar Thermal Systems. He has authored a book "Introduction to Mechanical Engineering" and published research papers in national & international conferences and journals as well. He is also a certified energy auditor by BEE, GOI, and has worked on AICTE funded R&D project. He is presently working on NRED, Haryana & MNRE supported Grid Tied SPV based solar power plant and solar based vapor absorption system for space cooling. He has served as member of various university bodies like Academic Council, Board of Studies etc. Apart from this, he holds membership of various professional bodies like Life Member of Indian Association of Energy Management Professional (LMIAEMP), Solar Energy Society of India (MSESI) and Indian Society of Technical Education (LMISTE).